The strange thing about jarring, disturbing and even mind-numbing noises is that they eventually assume the pristine of white. 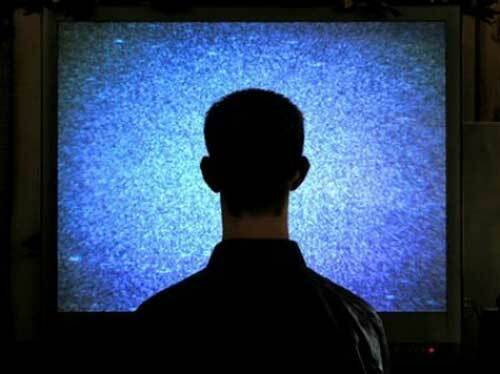 Once noise becomes white noise, it becomes comfort, safety and then need. A classic case in point is made in the sweet exaggerations of the only silent Hindi movie - Pushpak. When Kamal Hasan, a poor, jobless young man from the chawls, lands on the cushiest of beds in a 5-star hotel, sleep evades him. His personal Hypnos has been left behind in the strays' howls and the drunkards' brawls and the open-theatre's excited crowds. You titter when you see a helpless, sleepless Kamal Hasan going back with a tape-recorder and bringing back a track of the crazy noises that will drown his tiredness. The irony is funny; but only that. We are all bound to sounds. Whispers, conversations, arguments, rages, reconciliations. Barks, moos, mews, crows. Claps, slaps, gasps. Tings, tongs. Breaths. Beats. I'm bound to my repertoire of noises too. The last year of my life has been marked by a marked sensitivity to sounds, or lack thereof. Before Jishnu was born, the dhuk-dhuk of his strong kicks was the only real bother of my life. After he presented himself to the world, his cries drowned everything else. All the happy sounds that a young girl’s free-spiritedness, joys and freedoms makes, were gagged. Only a drone of morbid seriousness and grave responsibility filled my days and nights. I was consumed by the spirit of an all-controlling parent who wouldn’t let me be anything else. Every slight whimper of the new, attention-hogging life snapped me out of any crime of a reverie I may have been committing. Thereafter, my life became a cycle that whirred with every round of feed-pee-poop-sleep. Repeat. Feed-pee-poop-sleep. Waah-waah-waah-waah. Repeat. So compulsive was my conditioned attendance to him, that even music had to be sacrificed. God forbid if I missed his wails. Since headphones were out, I could have killed for a 'legitimate' pair of ear plugs then. And escaped into luxurious silence. And in the middle of all that racket, the move to Mumbai happened. The summer of 2010 was marked by sweat, tears, groans and moans. But time ticked-tocked, Jishnu grew a few months and inches, summer gave way to monsoon and Mumbai seeped quietly into my system, just like the water in these musty walls. The five-times-a-day azaans from the neighbouring mosque began to envelop me protectively. Jishnu’s pitter-patter, babbling and gurgling became comforting too. Music came back. Noises have become nice. I now fit snugly into the wheezing lungs of this choked city, yet feel the better for it. Silences, when they catch me unawares, feel deafening, threatening. When I woke up last night to give Jishnu his bottle, I felt oddly thankful for the beeping and the honking that goes on in the city even in the dead of the night. This is now my horn OK please zone.